Our Alpena Location is now open 8am-4pm on Saturdays! Our Harrisville Location is now open Sat. 8am- 4pm and Sun. 9am - 1pm! 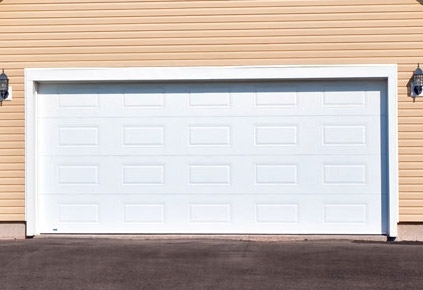 Whether you want to make sure your home is safer or ensure easier access into your garage, Northeastern Window & Door can help you decide on the best garage door for your home. Garage Door Brands you can trust! Click on the manufacturer logo below to see the wide selection of products available through your local Northeastern Window & Door locations. Northeastern Window & Door opened in 1979 by Jim and Betty Smith as a small Window & Door Shop serving Northeastern Michigan. The store is now owned and operated by John Smith, Jim and Betty's son. Jim and Betty Smith, and family, lived in the Metro Detroit area. Jim worked as a trim carpenter. They had family in Alcona County and wanted to get out of the city. Jim and Betty would come "Up North" on the weekends and Jim did side jobs when he was in the area. Jim had trouble locating materials for his jobs. He saw a need for a window and door supplier in Alcona County so he and his family relocated to Mikado in 1979 and opened Northeastern Window & Door in May 1979, on the corner of US 23 and Main Street in Harrisville. Jim sold windows, doors and trim. Jim became known as "Need trim, see Jim". © 2019 Northeastern Window and Door True Value. All rights reserved.